Help Jill open a local bakery. 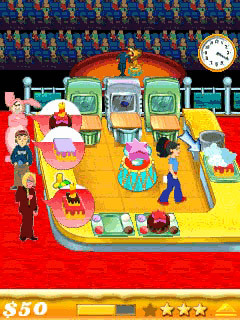 Bake, decorate and serve delicious cakes to a zany cast of characters in Cake Mania, the #1 hit RealArcade PC game of 2006. 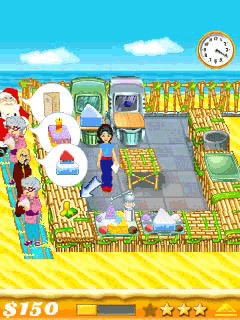 Use profits to buy state-of-the-art baking tools and earn enough money to re-open her grandparents' beloved Evans Bakery. 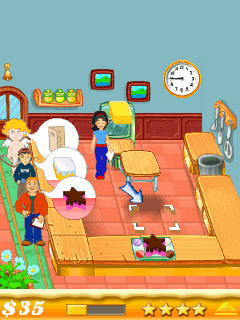 Cake Mania is full of mouth-watering fun, spread over 48 levels, 4 bakery locations and more than 1000 cake variations!